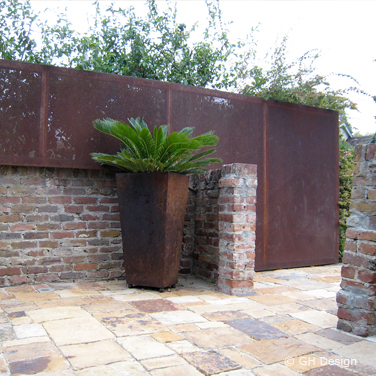 The Perforated Metal Screen is constructed of perforated steel that has been aged to reach the client's desired patina. 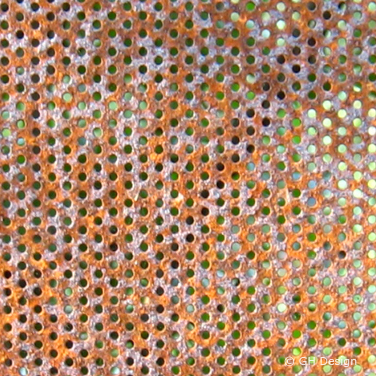 The Perforated Metal Screen can be recreated in any size or metal. Originally designed for a residence in Palo Alto, California by principle designer Nancy Favier.